Tags classic , country , cover , hank williams sr. 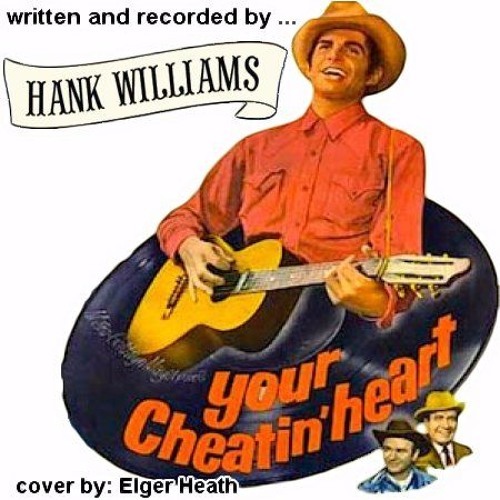 If Country music could be summed up with one song only then that song would be 'Your Cheatin Heart'. Written and recorded by Hank Williams Sr. it may have been done to death but if you can find someone that can really put the feeling and style into it, it still can outshine all the rest. On a good day, I can impress the heck out of a lot of folks with this song. Whether today is a good day or not is yet to be seen, but here is my effort to do this tune up right. Just because a song is an old standard doesn't mean that it is passe. Great lyrics and music are always impressive. Time does not cause wonderful craftsmanship to fade. Take a moment and give this cover a listen and see if I am still able to impress.